Today, Dialog Telekom (@dialogtelekom) the Sri Lanka's largest mobile communication operator announced the news of introducing Twitter via Text service to Sri Lanka for the first time. With this, Sri Lanka becomes only the third country in the Asian region, to support Twitter via SMS, after India and Indonesia. This is expected to be a huge boost for the popularity of micro-blogging concept in Sri Lanka, with millions of Dialog customers are now being able to tweet form their mobile. Twitter in Sri Lanka, is not as much as popular like Facebook, who dominates the social networking in the country. Most Sri Lankans use, Facebook status as a micro-blogging tool while only a fraction of the market have signed up with Twitter. Businesses too, have identified Facebook as a handy marketing tool, but Twitter marketing in Sri Lanka is still in its infancy stage. 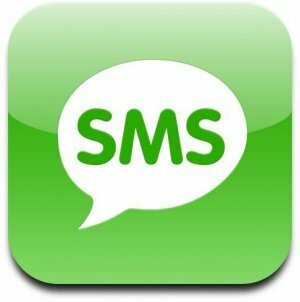 How to activate Twitter via Text in Sri Lanka? From your Dialog mobile, type START and send a text message to 40404. You will receive a confirmation, requesting you to reply with your Twitter username (if you already have an account) or reply with SIGNUP, to create a new Twitter account. Once you tweet your username to Dialog, they will reply asking you to reply with your password. If the password is correct, they'll request you to confirm by replying with OK, to use your mobile number with Twitter. Once the above steps are followed, you are now all set on Twitter SMS. You can now tweet, by simply sending text messages to o manage your Twitter via SMS; go to "Devices" in your Twitter home page. I was searching for info about this option. Do you know about dialog charges on this service? How much will it be for sending a text message to twitter and for receiving text messages? By the way, thanks for this valuable post. Hi Noorani, Best thing is to contact @Dialoglk via Twitter. They usually respond to such queries pretty quickly. Hi Noorani & Amisampath, I use twitter via Dialog sms and the charge is 1 rupee + tax (=1.31 rupees) per message. Only thing is you have to carefully limit your tweet to 140 characters. If it exceeds twitter will automatically break your tweet into two or you'll get a reply saying your tweet is longer and at which point it exceeds the limit. good luck.